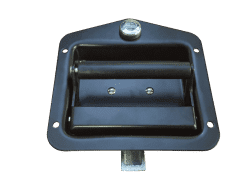 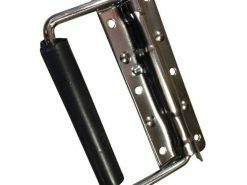 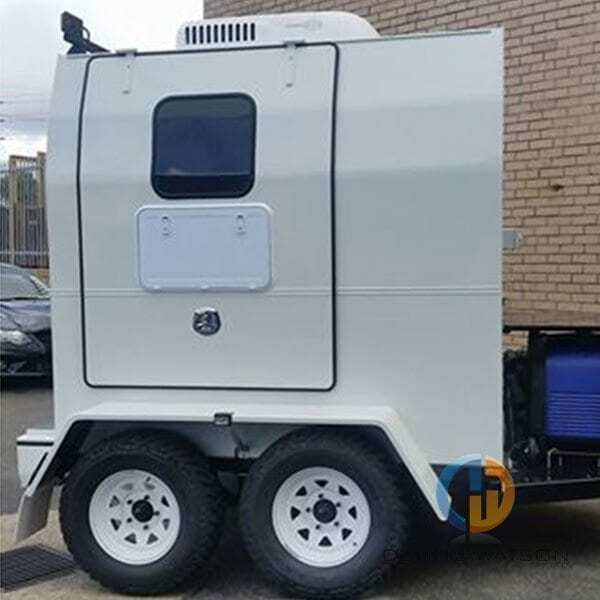 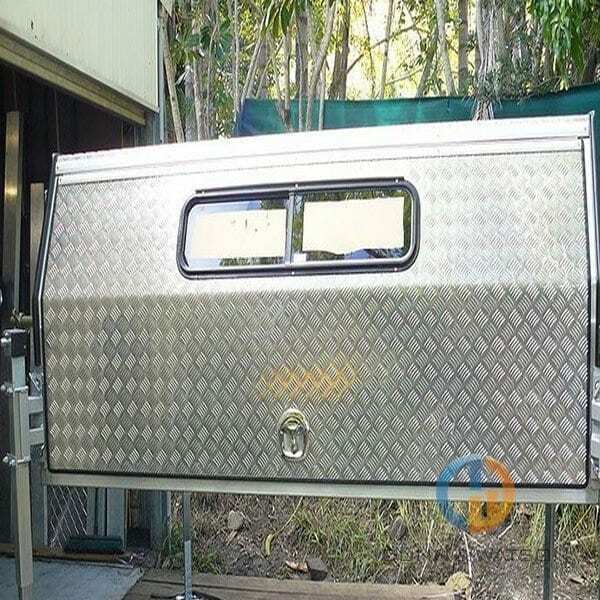 Power Operated Whale Tail Handles are Australia’s premium handles and are ideal for camper trailers, canopies, toolboxes and caravans. 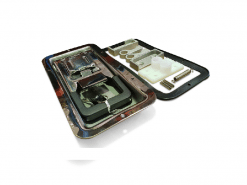 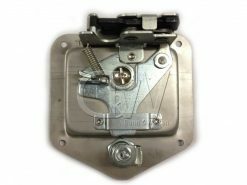 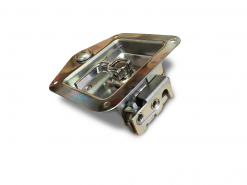 These locks boast a key and padlocking feature for security, they are rear fixing for aesthetics and have a compression feature that pulls your door in tighter for superior dust and water protection. 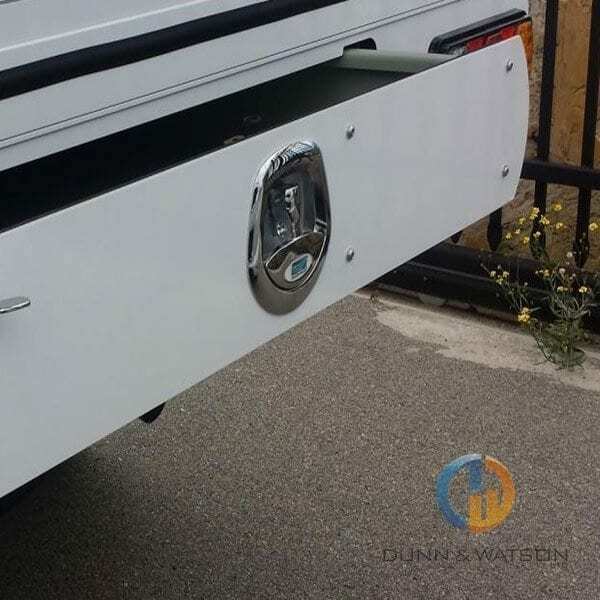 They have eyelets so you can add rods to make these handle three point locking. 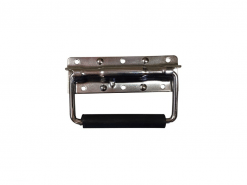 These handles can be fitted to the central locking kit of your vehicle. 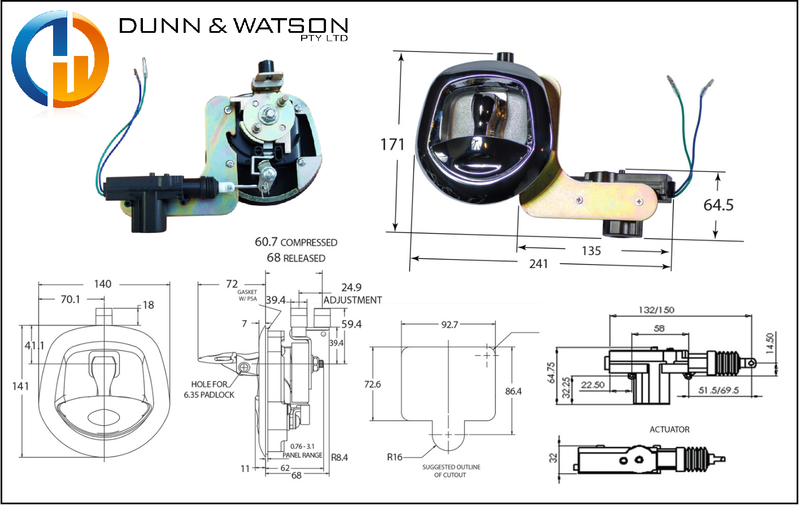 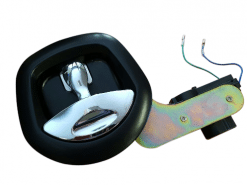 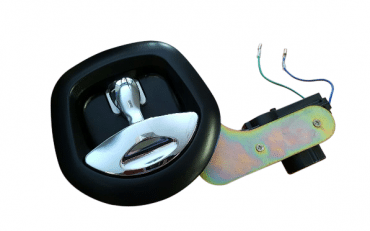 Whale Tail handle with power operation feature, allows keyless entry and the ability to hook your handles up to the actuator kit of your vehicle.